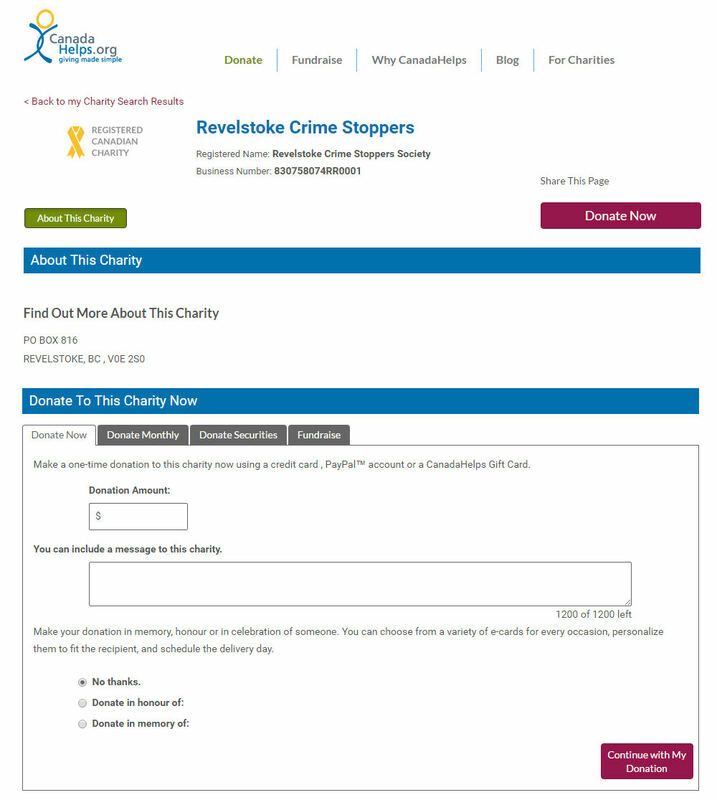 Looking for a way to help Crime Stoppers Revelstoke keep providing a valuable community service? Click here to go to our 'Canada Helps' page to make an online donation today! Every donation helps keep Revelstoke Crime Stoppers helping to serve our community!